Weigela is an excellent spring-blooming shrub that can add flair and color to your spring garden. Pruning weigelas helps keep them looking healthy and beautiful. But it can be a little confusing when trying to figure out how and when to trim weigela shrubs. 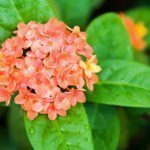 Keep reading to learn more about how to prune weigela shrubs. It is best to prune weigela shrubs in the late spring after they have finished blooming. Trimming weigela bushes right after they bloom will keep you from inadvertently pruning off next year’s flowers. This is because weigela bloom on wood that it is a year old. The wood that grows this year will bloom next year. Pruning weigelas after blooming means that you will pruning before the blooming wood has a chance to grow. It is common to prune weigela bushes in order to keep them a certain size. With this method of pruning weigela bushes, get a mental picture of how you would like the weigela to look like when you are done. Then, you can trim off branches as needed to create that shape. You can cut back any one branch of the weigela by one-third each season if you are looking to control size. Also, make sure that when you prune weigela branches that you cut them back to a point where two branches meet. When trimming weigelas, you can use either hand trimmers or hedge clippers. But, be aware that weigelas trimmed with hedge clippers will not be as full as those that are hand pruned. Weigelas look best if they are mostly made up of young wood. This means that it is a good idea to remove old wood every few years. This process is called rejuvenation. If you are pruning weigela bushes for rejuvenation, find the branches of the bush that are old and woody. Typically, you are looking for branches 1 ½ inches thick or bigger. Trim these older branches out from their base on the weigela plant. When doing rejuvenation, do not trim more than one-third of the branches out from the bush. If the weigela bush is made up of more than one-third of these older, thicker branches, then only remove one-third of the weigela shrub and plan on repeating the process next year. Occasionally, you may come across a weigela bush that has not been cared for or pruned and is in poor shape. This will be a weigela that is made up almost entirely of branches that are more than 1 inch thick and has very little blooms in the spring. You may need to take drastic measures to bring the plant back. In this case, you can try trimming the weigela back to the ground. 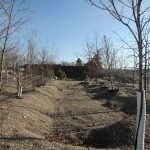 Remove all branches to about 4 inches above the soil line. If you do this kind of drastic pruning, it may take the weigela a year before it starts to bloom again. 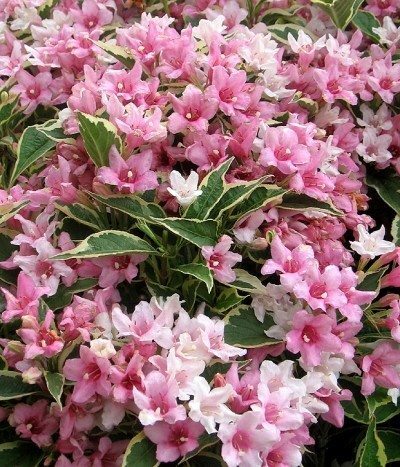 Read more articles about Weigela.